A simple but pleasant hotel **where the welcome is always warm. The hotel is ideally situated on the routes of compostella and assisi, providing a peaceful and restful stopoverpoint. The hotel** can accommodate up to 20 guests in 8 bedrooms each with shower and wc. our range of packages include full board and half board. 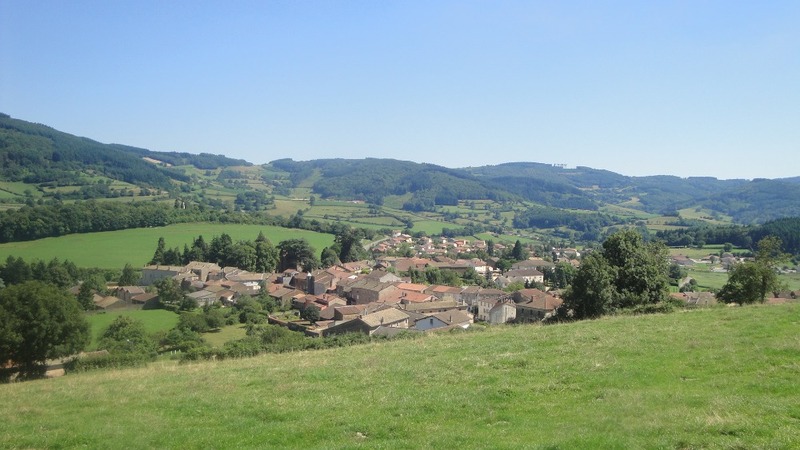 Tramayes is a village of approximately 950 inhabitants, situated in the "haute clunisois " between Macon and the Charollais. It is a perfect spot for overnight stops, weekend break of long leisurely holidays. Tramayes has many shops and services including bakeries, butchers, greengrocers, banking, post office and medical facilities. Tramayes is also ideally located for visting the region " sud burgundy ". Cluny (15 km ) renowned for its famous Abbey built in 910 ad. Chateau Lamartine ( 4 km ) famous for its poet and as his last residence. The St Point lake ( 4 km ) well know local spot for watersport, fishing and picnicking. Many varied trekking and walking routes allowing visitors to discover this beautiful region. Roche Solutre and Roche Vergisson ( 15 km ) providing a stunning panorama of the area. The routes of Assisi and Compostella .